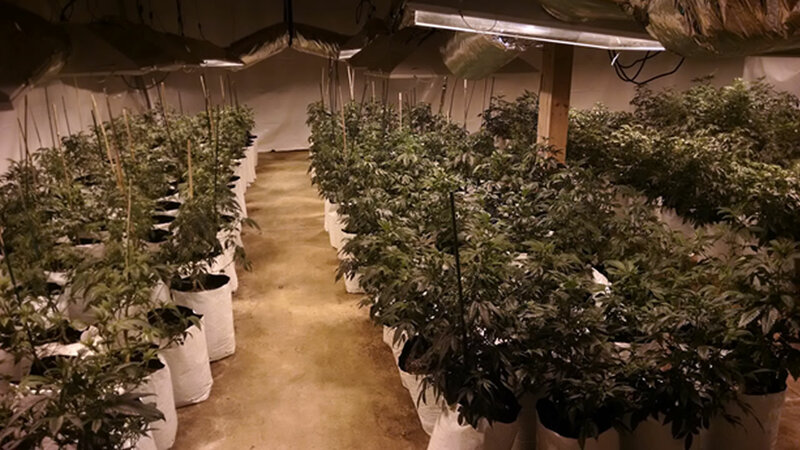 HILLSBOROUGH, NC (WTVD) -- The Orange County Sheriff's Office says it has found a huge marijuana operation in Hillsborough and arrested a Chapel Hill man. Deputies got a search warrant Wednesday and raided a property in the 5000 block of Old NC86 South. Inside, they found more than 950 pot plants in various stages of growth, along with equipment to plant, grow, cultivate, process, and package the marijuana. Deputies said 35-year-old Richard Dylan Perry was arrested at the premises. Perry lives at a Chapel Hill address in Chatham County. Perry is now charged with drug trafficking, marijuana manufacturing, drug possession, and other charges. Bond was set at $450,000.